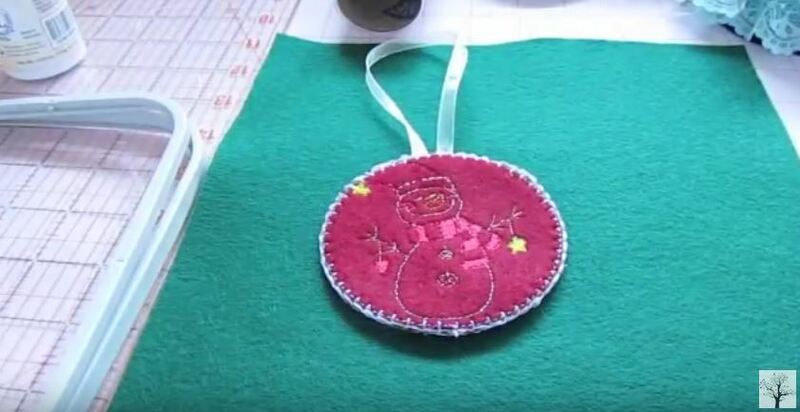 TLC Inspirations has provided a video on making an In-The-Hoop Christmas ornament. Starting with two pieces of felt and the design of your choice, this video uses the Brother SE400, but the techniques apply to any embroidery machine. When making this project, consider using HTC’s RinseAway, 3170-7, http://www.htc-retail.com/product-info.php?pid33.html , a water soluble tearaway that dissolves in the first wash.
Quilt Expo has announced its Quilt Contest to be held September 6 – 8, 2018. There are 10 categories, and contestants are allowed to enter up to four quilts. A Kid’s Quilt Challenge is one of the categories. Anita at Anita’s Quilts and Quilting has provided a tutorial on making a quilt using necktie applique. It covers the preparation of the neckties and the steps needed to make the quilt. The information is adaptable to any quilting design. 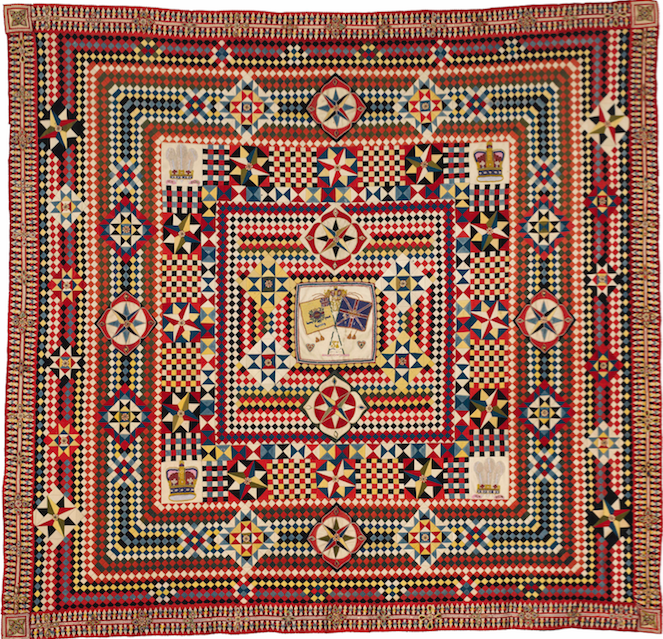 The American Folk Art Museum of New York is currently presenting “War and Pieced: The Annette Gero Collection of Quilts from Military Fabrics” until January 7, 2018. In collaboration with the International Quilt Study Center & Museum, War and Pieced is the first exhibition in the United States to showcase the spectacularly complex geometric quilts made exclusively by men using richly dyed wools derived from British military and dress uniforms. These are commonly known as soldiers’ quilts. 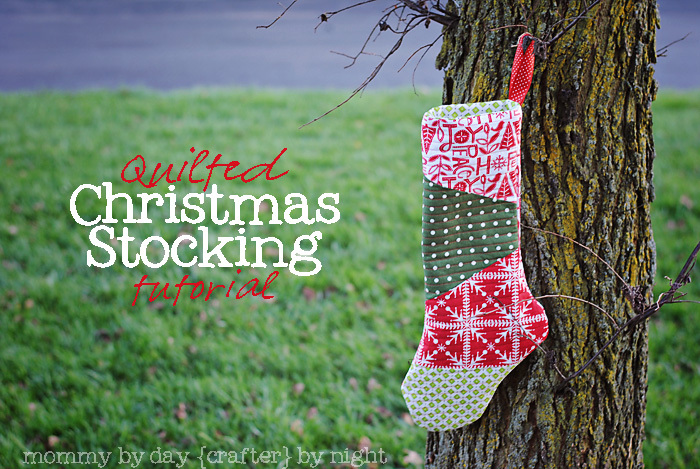 Ashley at Mommy By Day Crafter By Night Blog has provided a project to make a quilted Christmas stocking. 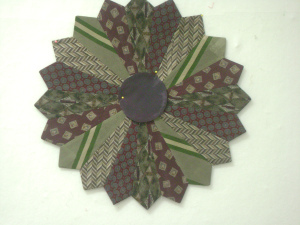 This project can be made any size you desire, and it is a good way to use scrap fabric. Make a custom stocking suitable for everyone this Christmas! For the batting, consider HTC’s Fusible Fleece, http://www.htc-retail.com/product-info.php?pid22.html , a 3.2-ounce 100% polyester, needle-punched fleece that is fusible. It offers better loft and dimension than traditional products. Embroidery Mart has been announced for February 2 – 3, 2018. This show for embroidery professionals and apparel decorators will feature free classes, vendors and plenty of opportunity to get to know other professionals. Registration is free for all current members of the National Network of Embroidery Professionals. 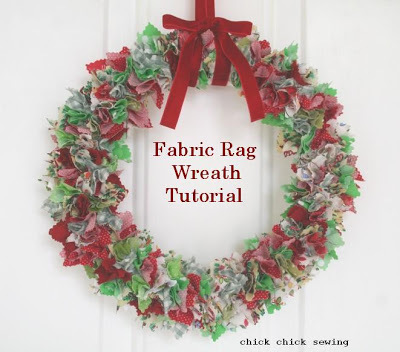 Amy at Chick Chick Sewing has provided a tutorial on making a fabric rag wreath. It’s a great way to use up scrap material. This quick and simple project can be made for any holiday, season or special occasion.